Stay At Falls Avenue Resort! 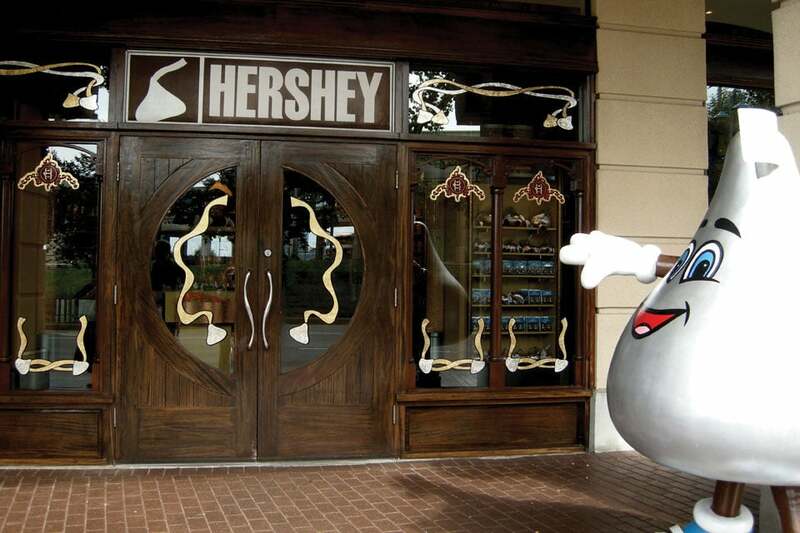 The only store of its kind in Canada, Hershey’s Chocolate World Niagara Falls is 7,000 square feet of chocolate heaven. This unique retail attraction, located within the Crowne Plaza Niagara Falls-Fallsview, features a wide selection of decadent treats and packaged items. 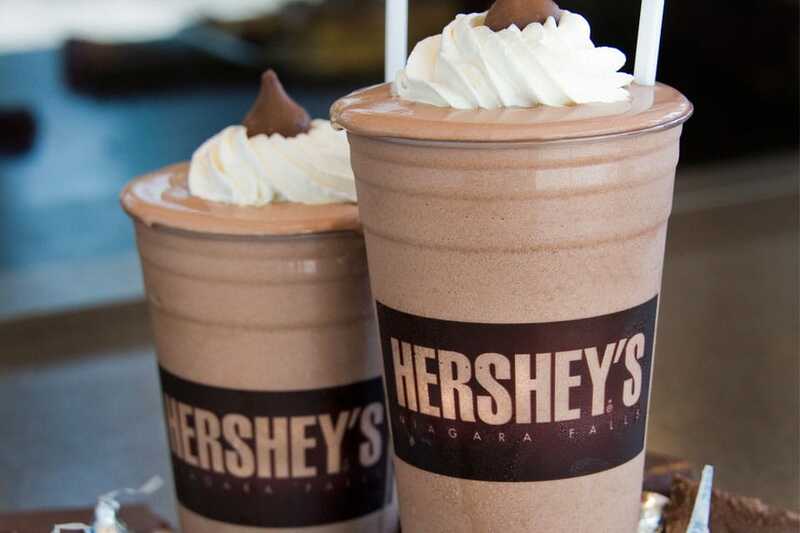 Hershey’s Milk Chocolate covered strawberries, fresh mouth-watering cookies, and thick milkshakes topped with whip cream and a signature Hershey’s Kiss are just a few of the treats available at the Hershey’s Chocolate World. 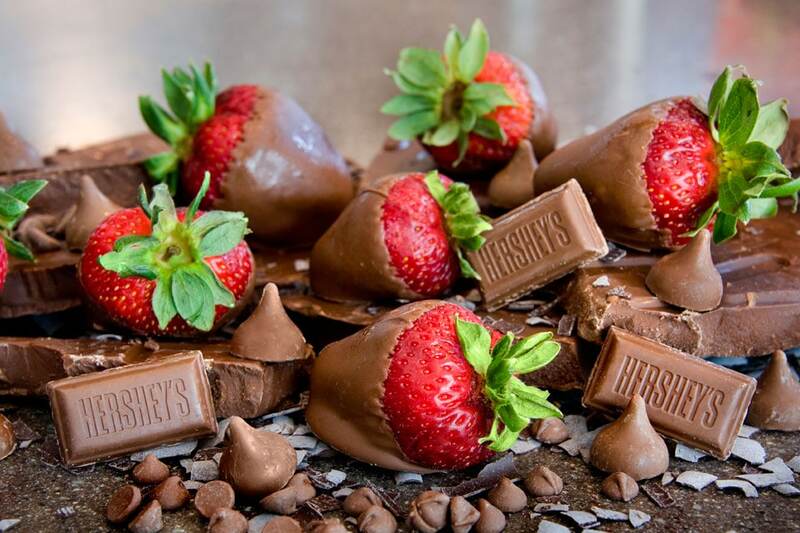 In addition to fresh items is a wide selection of your favourite packaged treats, collector items, and exclusive souvenirs from Hershey’s, Twizzlers, Jolly Rancher, and Reese’s. This includes Pot of Gold boxed chocolates, family-size chocolate bars, and a wide selection of legendary Hershey’s Kisses. The store also carries a 5lb milk chocolate Hershey’s Bar and a ½ lb Reese’s Peanut Butter Cup that you have to see to believe. Can’t make it to the store? Hershey’s items are available for shipping. Call the store for more details at (905) 374-4444 ext. 4272. Enter your email address below to receive exclusive deals and promotions from Falls Avenue Resort. You may unsubscribe at any time by using the “Unsubscribe” link at the bottom of our emails. © 2019 Falls Avenue Resort, Niagara Falls Ontario.